Five strangers with volatile personalities; a priest, a backup singer, a hippie, a bellhop, and a Cajun vacuum cleaner salesman, have a chance encounter one night in the ‘70s at the El Royale, a once prosperous gimmick hotel split right down the middle by the California-Nevada border. They’ve all got secrets worth hiding, and after blood is shed and a bag of money and a mysterious cult are introduced, they will all spend the night trying to keep their secrets hidden and escape alive with the cash. It’s a classic thriller setup that should be a slam dunk from a writer-director so well versed in genre filmmaking as Drew Goddard, and for the most part, it is. Bad Times is anything but, with plenty of extravagant style, hammy performances, and clever character moments to spare, you should be thoroughly entertained, but the full feature feels like it’s lacking just one extra element to really push it over the edge into greatness. With full awareness that this sounds pretentious, the El Royale really is the star of the film. Almost all of the movie’s 142 minutes are staged here, and I would welcome more time with it. The hotel’s mood lit stone, wood, and light neon aesthetic is captivating to look at and beautifully photographed. I never got tired of taking in the scenery, carefully studied by director of photography Seamus McGarvey with wide open frame after wide open frame. Every actor in this thing plays off the space well, so much so that they end up feeling like extensions of it, manufactured to necessitate the setting. For as goofy and illogical as this place is, it is completely grounded by the performers and a tone that’s neither too self-serious nor too flippant. The film’s many exciting performances are the biggest draw, though. 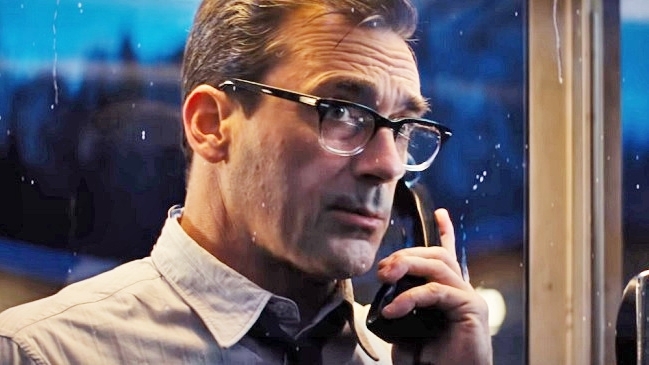 It’s nothing short of a delight to watch the likes of Jeff Bridges, Chris Hemsworth, and Jon Hamm clearly having fun competing with one another to steal every frame, Hamm in particular. He’s doing the best work he has since Mad Men went off the air in 2015 and finally making the case for himself to be taken seriously again as an actor, after years of self-deprecating bit parts in various comedies. Accomplished Broadway actor and singer Cynthia Erivo also does a great job in her feature film debut, carrying much of the film’s emotional resonance on her shoulders with her lovely singing voice, an always welcome regular go to for the film. Bad Times at the El Royale’s biggest success is also its biggest disappointment. A compelling mystery is set up and along the way there are many layers added until there is no way for them all to be paid off satisfyingly. Entire plot threads are dropped at a moment’s notice in frustrating ways. Characters get a little interesting and then they immediately die. A larger force at play is referenced but never explored. And even though they are all entertaining to watch, no character has an arc. Their personality is established, a secret is revealed or a big set piece happens that ends up changing very little, and then the character exits feeling more or less the same as when they entered. I spent the entire movie waiting for that one big reveal. The big gamble that would either fumble or carry the movie off the field triumphantly. But it never comes. Shortly after the credits have started rolling, you’ve already come up with five twists that would’ve done better to pay off the excellent 145 minutes of scummy thriller beforehand then the actual, somewhat sappy ending does. Stylish, well-acted, and often exciting, Bad Times at the El Royale is a hell of a time at the movies, but I don’t believe that we will be looking at this movie as fondly seven years down the line as we do Goddard’s debut film, Cabin in the Woods. I couldn’t take my eyes off of it in the moment, but I had no problem taking my mind off of it shortly after I left the theatre.